It was cold, grey and windy on Sunday, not really the ideal conditions for a walk around Dinefwr but having talked it up so much following our last visit my parents were eager to see what all the fuss was about. It was something of a disappointment therefore to arrive and be told that both the Deer Park and board walk were closed on safety grounds, another case of our modern day claim culture spoiling things for the rest of us. Even with these restrictions in place there was plenty to explore however and having spotted our first White Wagtail of the year in the car park we were soon surrounded by yet more recent arrivals. Willow Warblers and Chiffchaffs were everywhere but it was to a male Blackcap that we must award bird of the day. It's been far too long since we last saw one. 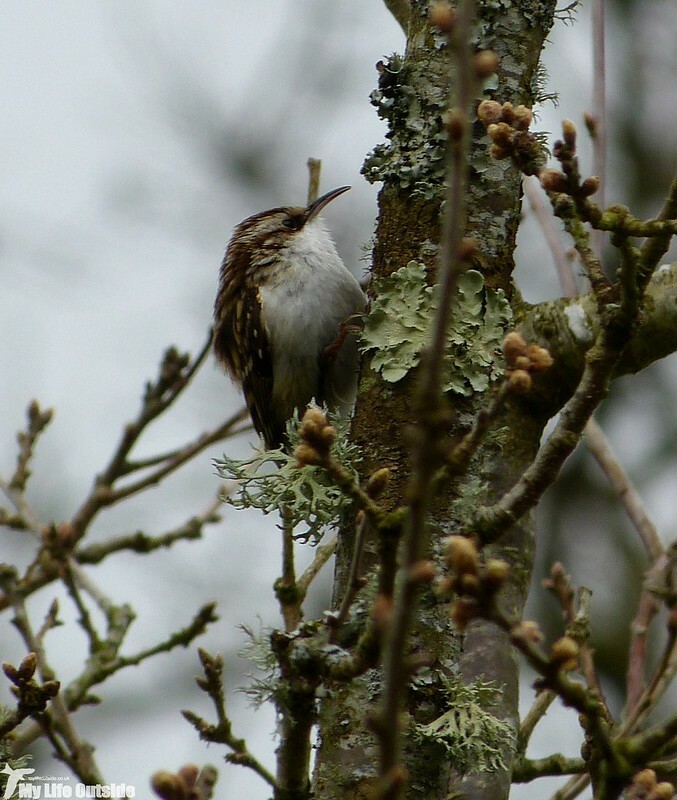 Running it a close second were the Treecreepers of which there were many dotted throughout the woodland. Often they'd disappear behind a tree trunk almost as soon as we'd spotted them but this individual paused perfectly giving me my first ever photo of the species. Not something I get to say too often these days. Nuthatches were similarly numerous though far less vocal than earlier in the year (that could have been due to the blustery conditions of course) and we had a great time watching two Red Kites hunting low over the Fallow Deer flock. Following the perimeter wall we picked up the sound of Mistle Thrushes, quickly followed by three of the birds themselves, before a solitary Stock Dove flew overhead continuing our good run of sightings for the species. 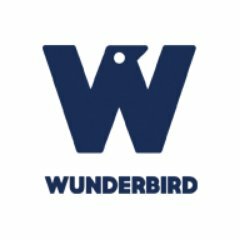 In fact we were so absorbed in both our conversations and the birds that we soon found ourselves leaving the park completely and heading out along a country lane. Definitely not what we wanted. Retracing our steps we were soon back on the path and, following it steeply downhill alongside the Deer Park boundary wall, found ourselves in an area which most visitors must never see. The ground was awash with Wild Garlic, Primroses and Cuckooflower, not to mention the promise of a carpet of Bluebells which should be at their best in a couple of weeks time. We Will definitely be returning for that. Being relatively undisturbed a Song Thrush had built its nest in the wall, a perfectly formed cup of moss which was probably just as comfy and cosy as it looked. Sneaking a peak inside there were four beautiful blue eggs, the first I've seen for a very long time. No photos however as we rushed by in a matter of seconds so as not to keep the adults away from their incubation for a moment longer than necessary. 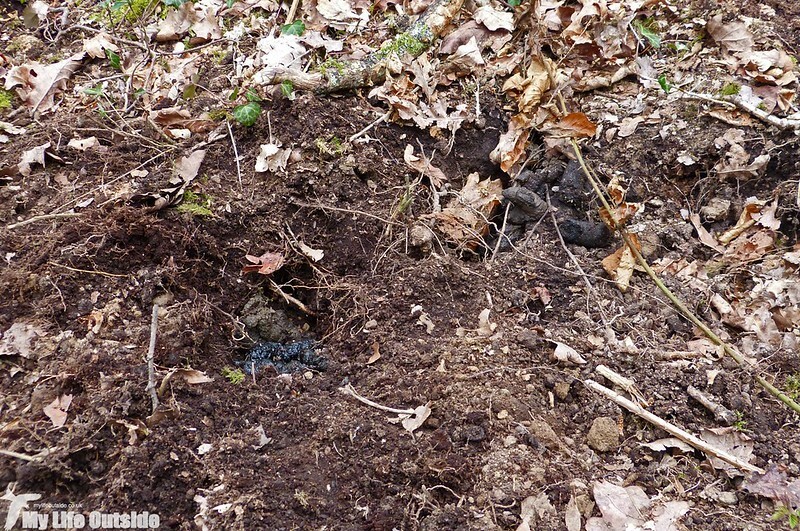 An area nearby also held signs of some pretty intense Badger activity with this latrine being very interesting though not all that photogenic. One of the bonuses of heading this way was that we stumbled across a bird hide which we'd somehow missed during our first visit. 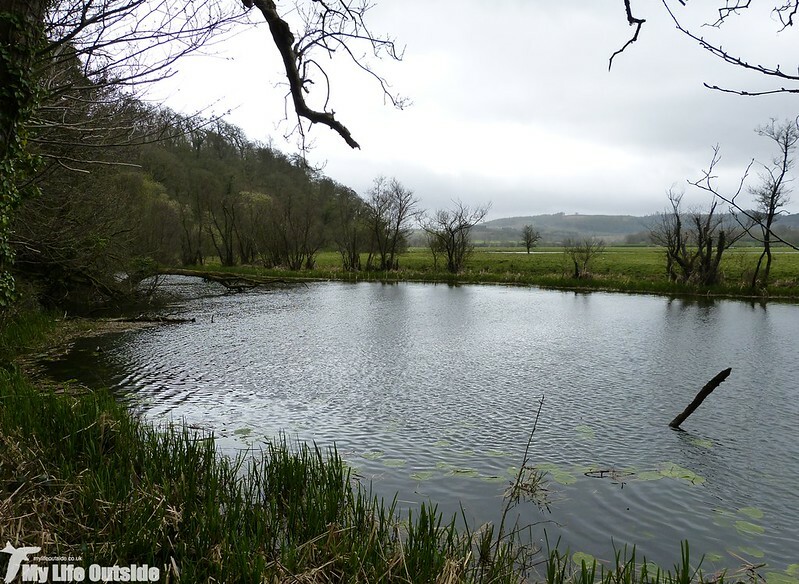 Even better was that its discovery coincided perfectly with a brief rain shower allowing us to shelter whilst enjoying views out across the Towy's oxbow lakes. Canada Geese and a lone Greylag were the main species present but at the next hide along things got a lot more interesting. First up were a flock of at least twenty Sand Martins swooping and diving before an entirely unexpected male Goosander flew in from our right. It gave us great views in the low light but even he was overshadowed by two mystery waders which appeared seemingly out of nowhere. Initially I thought Sandpipers but their wing patterns and flight characteristics didn't look right and it wasn't until they landed briefly that it clicked. They were so small that Little Ringed Plovers should have been obvious, another couple of quality birds in what was turning into a surprisingly productive day. Heading deeper into Castle Wood it was the turn of a plant to take our attention, not something that happens all that often. This one piqued my interest however as it is a parasite of both Hazel and Elm, feeding off their roots yet giving nothing in return. 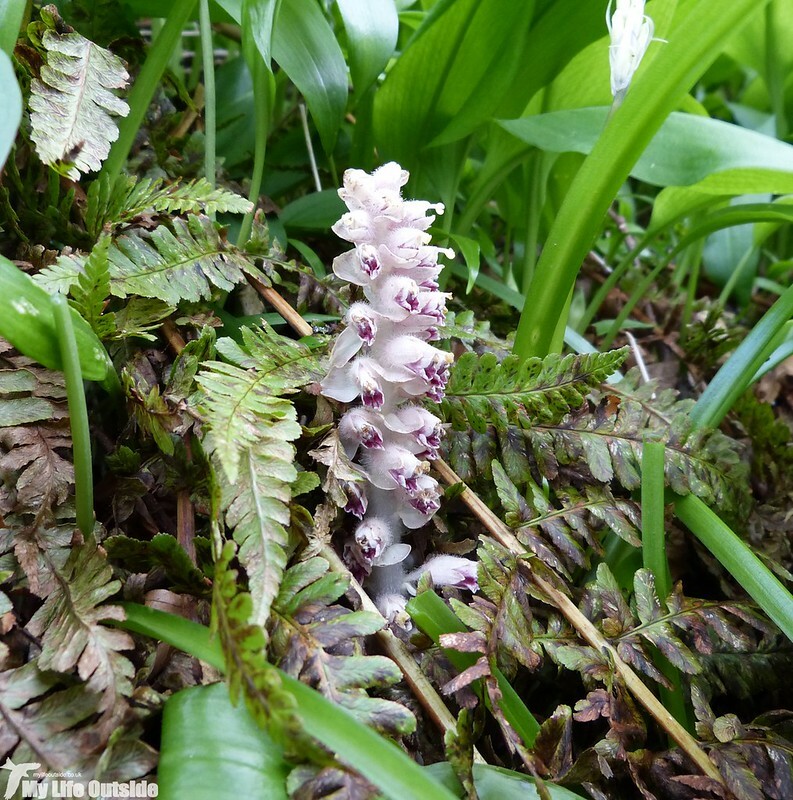 Called Toothwort it spends most of the year beneath ground before bursting free with a spike of white and pink flowers each Spring. Now that's the sort of plant I could get on with. Walking up to Dinefwr Casrle there were more early signs of what will undoubtedly become a spectacular Bluebell display. Already fully active were a flock of 'wild' Fallow Deer which we greatly enjoyed watching jump a fence as they headed on their way. Well, most of them jumped it with the rest hesitating before taking the long way around. Wimps. 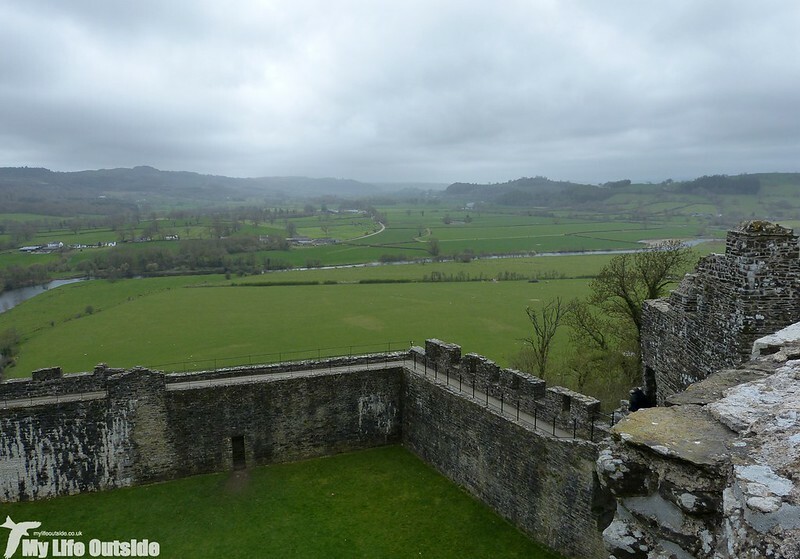 The view from the battlements was nowhere near as clear as last time out but still provided an impressive vista of a landscape which has probably changed little for centuries. 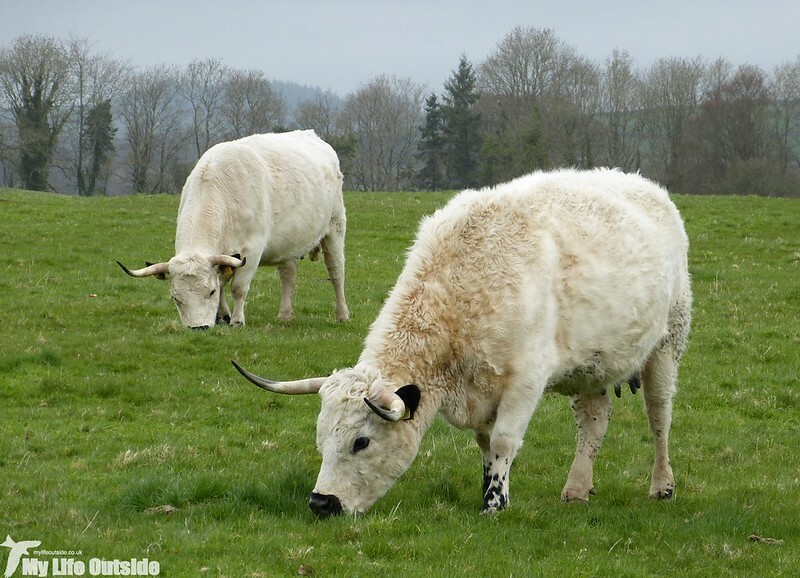 Dinefwr's White Park Cattle have been here for a good proportion of that time, at least one thousand years in fact, making them an intrinsic link back to those earlier settlers who called this valley home. 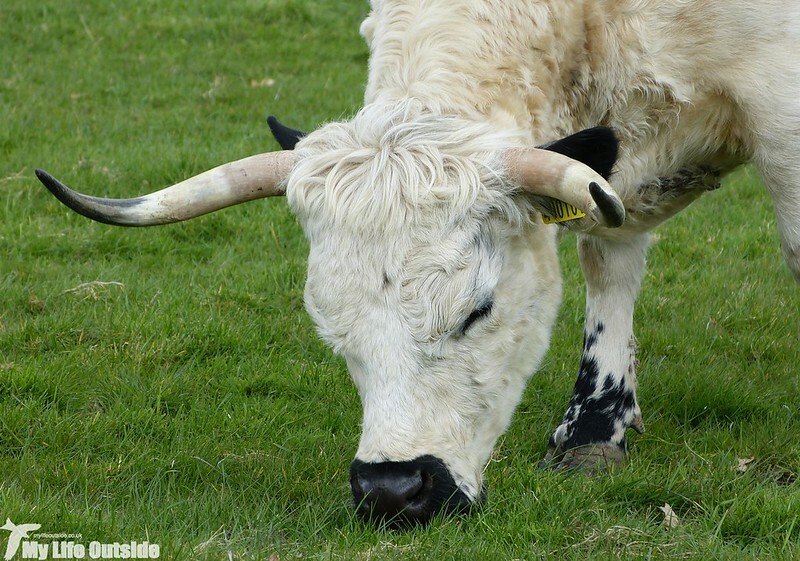 Over time White Park Cattle have become increasingly rare with just sixty animals left in 1973. Since then a breeding program has seen the population increase to over six hundred which, just to put that into perspective, is still well below the current numbers of Giant Panda found in the wild. A rare beast indeed then. To finish up we took a brief walk around the fields in front of Newton House before calling it a day. As hoped for there is still a real sense that we've only scraped the surface of Dinefwr and there should be plenty more to come across the next few months. This is another good walk. I'm happy they are restoring the cattle herd. They are very photogenic beasts. Definitely worth it. We've only just discovered Dinefwr and wish we'd found it years ago.